Single platform that’s easy to deploy, use and adopt within your organisation. A flexible platform that can be tailored to suit your organisational needs. A platform connected with any mobility Managed Service Provider. Businesses are dynamic; and so is the mobility life-cycle. Staff join, move departments, travel overseas and leave. Mobility assets and services are added, upgraded, changed and cancelled. Mobility within businesses is constantly changing and needs to be managed as the organisation evolves. 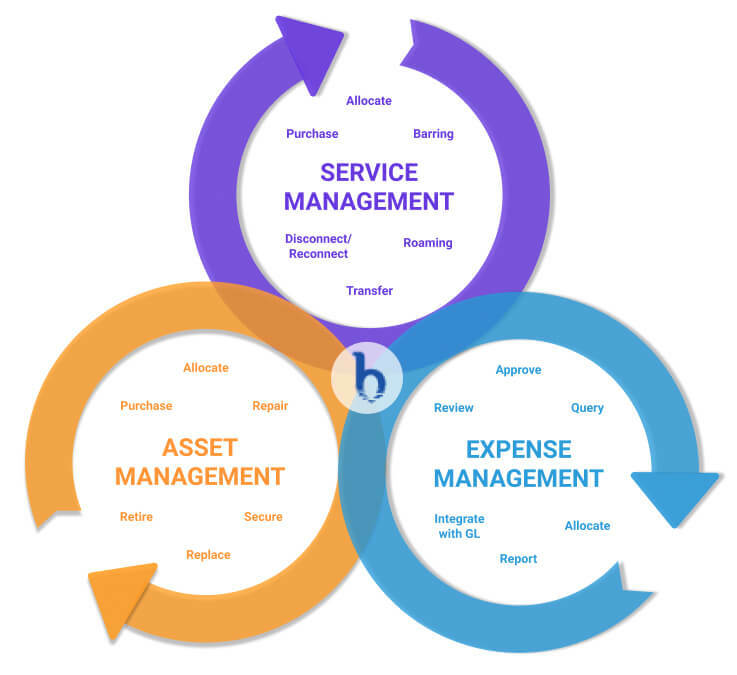 Expense management is tightly linked with asset and services. As assets and services evolve, they need to be monitored, managed and allocated correctly so bills can be paid. Visibility of spend is paramount. Bluewater supports the entire life-cycle and integrates with any Managed Service Provider you may have chosen.